Packaging is not only a practical and necessary part of your product but also an excellent opportunity to market your product and brand to potential customers. When done correctly, product packaging will draw attention to your products, send a message and even make your consumers feel a certain way about your brand. Packaging can come in any shape, size, material and colour for every type of product out there, and while box packaging might be considered boring and mundane, that does not have to be the case. Boxes can be used to create a powerful exterior for your product, and there are thousands of various types and designs that can be used to package products of any shape or size. Folding cartons are one of the most common types of boxes for retail products in stores. Just because they are the most basic of packaging boxes doesn’t mean they can’t be inspiring. Check out these stunning insect-inspired light bulb boxes that are a brilliant example of how amazing packaging can make simple products stand out. A step up from the folding carton, rigid boxes are sturdier and generally used for presentation purposes and luxury products. They offer added protection as well as a high-end finish. Shoulder boxes are a type of rigid box where the base and lid don’t meet, creating a middle section called the shoulder. The shoulder can be used to make a feature by using a contrasting colour to the top and bottom of the box. Another type of box that can be really effective for product marketing is the collapsible box. These can save on shipping costs and storage space and offer a vast range of design options to make your products really stand out. 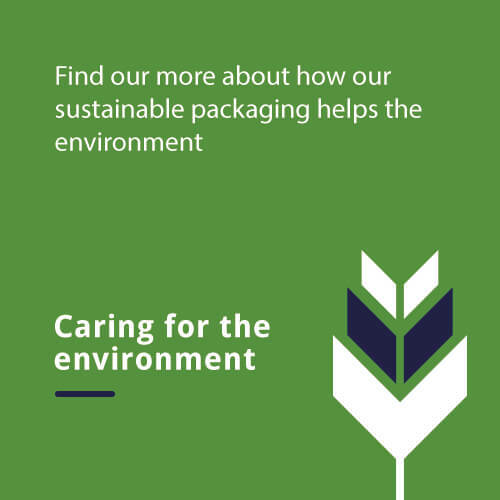 Made by glueing a curved flute to two liners, corrugated boxes have traditionally been used for outer packaging, but are now becoming increasingly popular within small companies. They can be created in nearly any shape and size and are relatively cheap to produce. This wine carrying box designed by Maegen Brown is a perfect example of the flexibility of corrugated boxes. A standard box for the packaging industry, where all the flaps are the same length from the score to the edge; these boxes are ideal for shipping small individual items. They don’t offer much by way of customisation other than changing the print and external design, but sometimes less is more. If product visibility is vital to you and your product, then corrugated trays could be the answer. They are typical for point of sale displays as well as product packaging and essentially used to hold other objects. Similar to regular slotted containers. However, this type of box has one open side making it perfect for sliding over pre-boxed products. An unglued box that is assembled by simple folding, these boxes are perfect for shipping retail products. A beautifully creative design of a roll end tuck top box is this design for Thelma’s cookies by SaturdayMFG. The box is simple yet tells a story of the brand and is instantly memorable. These types of boxes feature outer flaps that overlap the entire width of the box making them tough and resilient. They are a practical choice for shipping products and can be enhanced with stunning print designs. A telescope type box will consist of two completely separate pieces; a base and a lid. They are popular for presenting high-end products such as technology, and a well-known example is Apple’s iPhone packaging. Another box that consists of two separate pieces, slide type boxes have a sleeve and inner box. A stunning example of a slide type box used is the Girlfriend Collective packaging designed by Natasha Mead Studio. Mailer boxes are designed specifically for posting small products. They are created to fit easily in letterboxes and post boxes, for easy deliveries and meaning your customers don’t have to dash to the post office if they aren’t home for a delivery. Shelf ready boxes are created specifically for retail shelves and displaying products in store. They can be designed to showcase a product and make it stand out to retail customers. Boxes for packaging are versatile and can be created into nearly any shape and size you desire. Creating unique and custom boxes for your products is an excellent way of giving your customers a memorable experience. Some great examples of custom box designs include this pistachio box for Mighty Nuts, this innovative flower packaging and this unfolding box for beauty products.